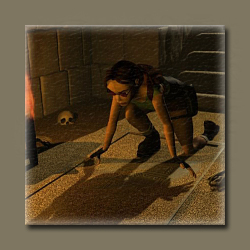 While exploring some caves, one day, Lara follows a narrow passage to a fairly deep shaft. Suddenly, behind her, a gate shuts. 'Hmmm. There appears to be no going back the way I came.' thought Lara. 'I suppose I must continue downwards.' So begins another adventure. 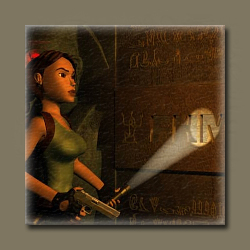 Lara is in search of the legendary Seal Of Tisaria - a solid gold token said to have magical powers. As she slides down inside the tomb she realises immediately that this is not an easy quest and she must find her way through the dark and spooky passages where the dead refuse to lie at rest and the way is paved with danger. 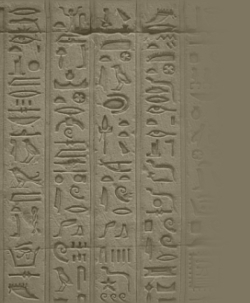 The tomb was built by Tisaria himself, a man with a warped mind and said to be possessed by the spirits of the old ones. With his last breath he vowed to roam the tomb forever and bring swift death to anyone brave enough to venture inside. A bizarre sandstorm reshaped the Egypt desert recently, revealing age-old pillars to the surface. Archeologists found no record of any temple-like buildings around that unchartered location in the middle of the desert in the library. They started digging after the sandstorm has settled, it was not a hard job to dust off sand anyway. It only took them 3 days to unearth an entrance around the ruins. As they proceed further, there was a cold feeling in this sun-heat desert sands. Transported underground, it wouldn't mean anything good was going to happen. The archeologists walked out of the serpent tower - dead. It seems that something Ancient killed them, and a mystical artifact formed a kind of strange energy to keep the dead walking. With the tower unearthed, the energy wave would spread further. Lara, as always, was the one who can undo the crystal's power. She discovered in her own library that golden stars were keys to shield the leaking crystal energy. Yet again Lara has tripped on one of her quests and dropped unexpectedly through a hole into an underground area. Luckily unharmed she sets out to search High and Low to find her way back out of there and while she is exploring the place tries to bring back as many of those secret tridents as she can find. 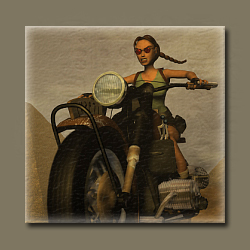 Many places in the universe have been explored by Lara Croft. After the past years Lara decides to reflect upon her origins. Of course these are ruins and catacombs. So Lara reads through geography and history books, pins a land map of intimate Egypt and with closed eyes shoots an arrow at it with her bow. The arrow marks a place near an old catacomb she has read about in her books before. It's said that this catacomb was a part of the Egyptian water supply during heydays of the Egyptian Empire. Expecting to live adventures as in past days Lara starts her journey to Egypt. What lies in front of her is uncertain. When Lara enters the catacomb and slides down the ramp she noses an aroma she hasn't smelled a long time ago. It smells of old days. It smells of new adventures. 'Daylight has finally reached its end as evenfall strikes into the sky. Far away in the dark glimpsing moonlight sickening souls cry out in pain. Briefing: Find the Golden Star and get out of the Catacombs. 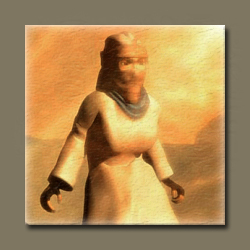 Lara finds herself thrown in the dungeons of the great Pharaoh Hepatitis son of the great Pharaoh Hepatitis I (the son is sometimes known as Hepatitis B). Hepatitis carried out experiments with the undead in order to find the secret of eternal life. The palaces are littered with these undead. The only escape is to find the crystals of the Great Horseman Nevertitties so called because he was not breast fed when an infant. There is one secret. By now, Lara is getting terribly pissed by the way amateur level builders, seemingly think they know what’s best for her. She has other ideas. Lara puts herself into 'noclip' mode and walks straight out of my level through a wall, but unwittingly ends up in another level I built right next door. 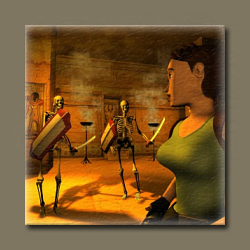 Lara must explore an underground tomb dated from 987 C.E. and located close to Baalbek in the Lebanon. In 1996, the company Mid Eastern Electric S.A. acquired the contract to construct a hydro-electric scheme for the immediate area (and Beirut in particular) but owing to faulty trigonometric calculations in the pre-construction of the water-supply Aqueduct, it was discovered that the porous geological strata was causing the tomb to be gradually flooding. Now Lara is asked to discover and remove the Blue Diamond in the Tomb before the water submerges it and the Gem is lost forever. 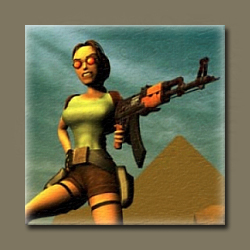 After the trouble in Egypt, when Seth was banned and von Croy dead, Lara decided to return to the old catacombs of the coast of Alexandria and to breathe the ancient air again; just for fun this time, relaxed and enjoying the atmosphere.Join Lara on her excursion back to the catacombs; back to the origins. Alesandro Azzuri-Rosso, a wealthy and prolific 16th century composer, had built a magnificent palace for his two sons above some ancient catacombs. Alesandro’s elder son had a fiery temper, whereas his brother was cold and calculating. One day, the two sons stole a scroll containing one of their father’s most magnificent symphonies and hid it somewhere within the palace, or perhaps in the catacombs beneath. To prevent anyone from retrieving the scroll, the brothers devised ingenious traps to prevent anyone from locating and retrieving the famous Music Scroll, and they even found a way to raise the dead to serve as an additional line of defense against intruders ... Then one day, the renowned adventurer and explorer Lara Croft discovered the existence of the Music Scroll and learned of the steps the brothers had taken to guard it. As she imagined the pleasure she would derive from solving the puzzles and traps the brothers had left, a devilish smile graced her face, and she set off at once for the Palace of Alesandro Azzuri-Rosso.